Raymund Vincent Fernandez Aaron goes by his personal brand and job title, Banana Chief. After graduating from Ateneo de Manila University in 2009, this fourth-generation farmer was set to help build their agricultural social enterprise in Pagsanjan, Laguna. Established in 2007, Villa Socorro Agri-Eco Village offers a rural haven and a run-away-from-the-city experience. Here, visitors can commune with nature and live the simple farming life. This paved the way for the brand of Villa Socorro Farm to delve more into agribusiness and social entrepreneurship trying to make a difference in fields of agriculture, sustainability and social work with farmers. At the center of Villa Socorro Farm is its heart, the “puso ng saging”, using farm produce to empower their partner-farmers. It starts with over 100 partner-farmers who plant the Saba variety of bananas within their neighboring towns. They are provided with planting materials as well as training on farming best practices, values formation and financial planning. When their bananas are ready for harvest, they are bought back at 2.5 times the market rate providing these farmers a sustainable livelihood. Manufacturing is then done in the facility inside the farm. Fresh bananas are peeled, sliced, cooked and packed all within 24 hours to offer thin, crunchy, amazing banana chips, Villa Socorro Farm Sabanana Banana Chips. Raymund has taken it upon himself to continuously engage the customers in making a conventional product like banana chips more relatable. In the most recent activity, his team launched the Share Love campaign which encourages Titas of Manila to share a bag of assorted banana chips with their families and friends. This boosted word-of-mouth and trial amongst old and new customers. In the late 2018, a new brand was launched called Farmony, offering farm-to-snacks. This new line promotes whole food Filipino snacks not only in the Philippines but also worldwide. 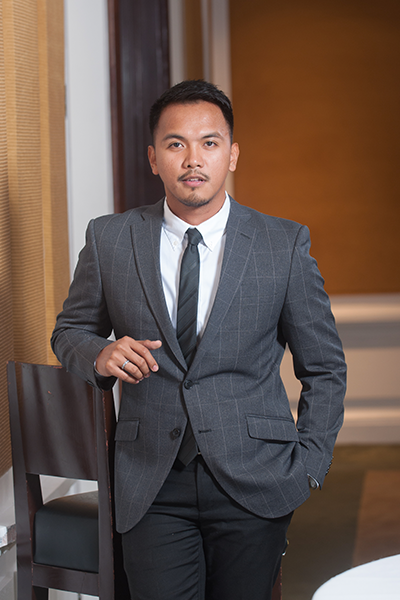 Knowing that there is much more to be done, Raymund pursued further education by taking his Masters in Entrepreneurship, Major in Social Enterprise Development for Nation Building at the Ateneo Graduate School of Business, graduating in 2017. As Villa Socorro Farm works toward its vision of “Communities of Empowered Farmers Living with Pride and Dignity”, Raymund is at the forefront of turning this vision into a reality. He is faced with the tough task of taking the company further by challenging the boundaries of agriculture; bridging the gap between the farmers and their bountiful produce and bringing them into consumer’s tables both locally and abroad. Looking far beyond the horizon, the Banana Chief is ready for the challenge. Joaquin Barandino is the Chief Technology Officer and Co-Founder of Squadzip, a Next-Gen Business Development Platform with a unique approach to helping organizations manage sales and operations. At the age of 14, while studying at the Basilan National High School, Joaquin had his first encounter with a Personal Computer which completely captured his imagination and heart. At 17 years old, he then relocated with his family to Metro Manila where he earned his degree in Computer Science. 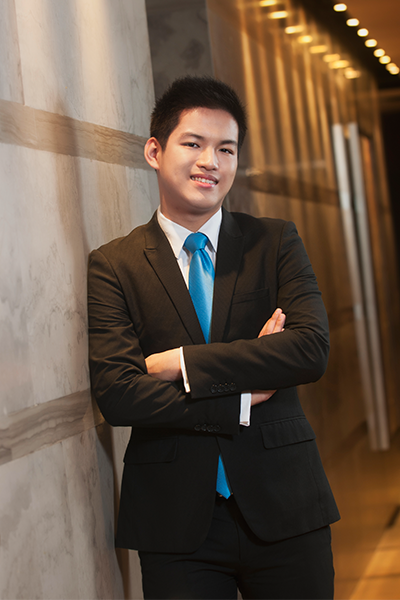 Joaquin got into several corporate jobs with roles that focused on application development, and web and graphic design. 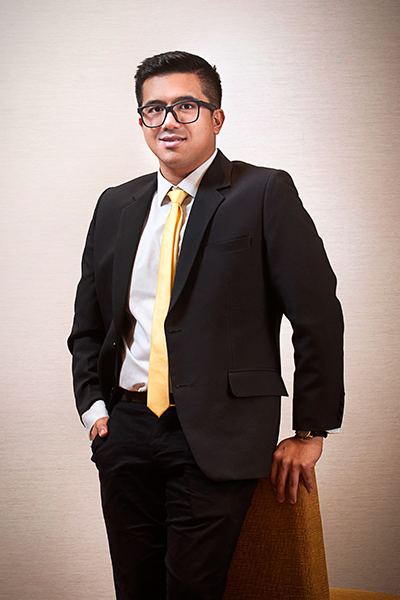 In April of 2014, Joaquin with his colleague Roman Mercado, fresh from having just left their corporate jobs, found themselves by way of a consulting gig, in a room with 30 sales people to present a mock-up of a platform to a technology sales company, that was dissatisfied with their existing Enterprise Customer Relationship Management system. These then seemingly meaningless mockups would then become a productivity tool for businesses that allows teams to communicate in real-time and share data without having to endure lengthy forms. Joaquin and Roman teamed up, co-founded and launched Squadzip. In designing Squadzip, the founders, deliberately ignored many of the preexisting features that defined existing software categories with a blend of ideas rarely seen in business applications. They also capitalized on their soon-to-be users’ familiarity with social media apps to ensure easy adoption. The result was the creation of a totally new product that brings together the simplicity and intuitiveness of a mobile social app, and the power and intelligence of an enterprise platform. Today Squadzip, a mobile-first productivity platform for sales, customer management, and team management, has now served over 60 companies in different industries such as medical equipment distributors, pharmaceutical companies, health maintenance organizations, technical equipment providers, fast moving consumer good sellers, agriculture companies, construction firms, software distributors, insurers, real estate developers and financial companies. Many of their customers from SMEs to large enterprises have, on record, shared how Squadzip has helped improve sales, productivity and efficiency. While the Philippines is often known as a hotbed for software engineering talent for foreign companies who choose to outsource cheaper labor from our shores, it is rare for Filipino-founded companies to be given the opportunity to make an impact globally; this is one of the aims of Squadzip – to be a shining representation of the potential of Filipino talent in the technology sector. As more and more businesses come to learn about Squadzip, we are certain many more will be rooting for them to realize the potential they have in the Philippines and beyond. Ron led UnionBank’s launch of the Philippines’ first fully digital bank branch, located at the Ground Floor of Insular Life Building in Ayala Avenue, Makati City. Called The Ark, this first-of-its-kind branch aims to win over customers who are comfortable with digital technology but still prefer the warmth of face-to-face transactions. It was built by 7 internal teams and 24 external partners led by Ron in just nine months! UnionBank realized that the next generation is already dictating changes upon the banking industry but at the same time UnionBank does not want to isolate clients who have been loyal to them for the past 35 years. Thus, The Ark was built so that nobody gets left behind. The first step Ron’s team did was to identify the pain points of the customers when it comes to banking. But changing how people see banking and turning it into something more positive meant disrupting the whole banking experience. Using the Customer Experience (CX) transformation framework of processes, space, and people, Ron set out to realize this goal: Redefine the banking experience with The Ark. The Ark has no teller’s counters but Branch Ambassadors who can do both digital transactions and financial advisory. Their major role is to handhold customers toward digital which means onboarding customers to use UnionBank Online, self-service machines and tablets. A digital customer according to UnionBank’s data has 4 times more deposit, 6 times more transactions and is 12 times more profitable than a non-digital customer. At The Ark, there are no queues as people use tablets that unlock digital transactions and provide digital product discoveries, while seated in comfortable sofas or at the cafe area, sipping gourmet coffee or doing their work using The Ark’s WiFi. If they desire, they can stay in semi-private nooks or private rooms. The Ark also functions as a third space. It can be used as a venue to co-create with customers and partners. The Branch Ambassadors have been very successful in converting customers to digital. The self-service machines have processed more than 100,000 teller transactions since opening. There was a dramatic increase also in using the machines for basic branch transactions like cash deposit and check deposit. Customers were happy with how speedy the digital account opening is at The Ark from an average of 1 hour to an average of 10 minutes. The Ark now has more than 1,200 bank accounts opened with more than P420M in average daily balance, 97% of which are retail customers. This is 6 times more than what can be found in other new UnionBank branches that have opened. The Ark by UnionBank was declared winner of Best Branch Customer Experience in Asia Pacific at the Customer Experience in Financial Services Awards held in Singapore last July 5, 2018, beating DBS of Singapore and UOB of Thailand, which were both given commendations. Ron and his team built a place where banking is redefined, where digitization is embraced, and where bridging offline to online is done seamlessly. Digitization, after all is not meant to be complicated, and contrary to what people believe, it does not translate to elimination of human interactions. Instead, digitization is an instrument that works seamlessly at the storefront and behind the scene – making things easier and faster, creating more time for customers to have more meaningful relationships and to be able to do what matters most to them. Bea has been a critical talent for Johnson & Johnson, starting from when she was in the management trainee program and after, as she assumed bigger management roles in both marketing and sales. After graduation from the trainee program, Bea was tasked to handle the single biggest brand in the company, Modess, as Assistant Brand Manager. The Senior Brand Manager handling Modess, saw her potential and tasked her with the competitive defense and regional projects, which affected 70% of Modess’ business. In these, Bea was able to lead her team and deliver outstanding results, bringing double-digit growth and share gains for the brand during months of support. Bea was then moved to expand her skills in sales as Senior Customer Development Manager for the biggest distributor in South Luzon. Using her knowledge of brand strategy, especially on napkins, Bea was able to develop a low priced brand defense strategy for Modess, which was adopted nationally. Her strong business acumen also helped her distributor grow +12% and overperform versus target, making them win Distributor of the Year for 2016. 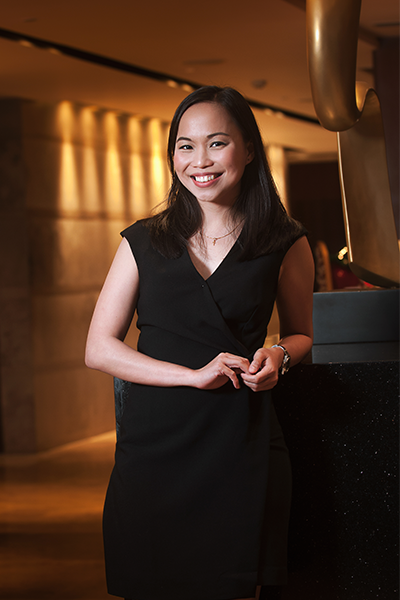 She then moved on to become the Senior Key Account Manager for Puregold, where Bea led key projects such as Nanay & Me 2017 for Johnson’s Baby, allowing the brand to grow +17% during months of support. Currently, Bea is back in marketing and is managing the Retain portfolio of Johnson’s Baby, where she was tasked to lead the biggest growth drivers of the franchise: Baby Bath and Baby Shampoo. These two categories provided such complex sets of brand challenges from strengthening market leadership in a high value but fragmented category to a high-opportunity but underdeveloped category. A focused and insightful business leader, Bea was able to bring Johnson’s Baby Bath back to growth after 2 years of decline by relentlessly tweaking the plans based on key learnings that drive business result. Understanding the critical role that mom-usage plays in growing her portfolio, Bea’s 2018 campaign resulted in recovering Bath growth versus the prior year and not only that, reversing the continued decline of Lotion through regimen communication. As an audacious business driver, Bea also shaped key competitive defense plans to support Bath in levels never before seen or done in Johnson & Johnson Philippines. She took managed risks through constant competitive updates and recalibrating of plans based on new developments. She flexibly refunneled funds from one support medium to the next, as the need arose. As of this writing, Johnson’s Baby has maintained dominant market share leadership in the Bath category and was able to deter the share gain of one of the biggest companies (with deep pockets) that launched in Baby this year. Simon was a fresh graduate at the age of 20 when he entered Primer Group of Companies in August 2016. When he started, management was contemplating if they should continue developing the action sports industry, which was down due to the aggressive expansion of fast fashion. Quiksilver, like the other action sports brands in the market, went bankrupt in the US and it looked impossible to turn the business around. Due to the filing of bankruptcy of Quiksilver Global, all its partners, and affiliate including Quiksilver PT (Asia Pacific Head) were affected. The product range was weak, there was no strong marketing direction, and the organization was in trouble. Unfortunately, before they filed for bankruptcy, Primer Group of Companies was bullish in expanding the brand which left them with large format, unprofitable doors and millions of slow-moving inventories. Simon, together with his team, had to work fast and smart to save the brand in the Philippines. They did surveys and studied and analyzed the current consumer behavior. From there, they focused on efficiency. To do that, they had to successfully negotiate several items with their principal: 1) smaller store space, 2) lower Freight On Board, 3) roll out tri-brand concepts in high-potential large format doors, and 4) deplete slow-moving inventory online. While these items seemed straightforward and obvious enough, it was not easy getting the support of the management and the approval of the principal, Quiksilver PT. While all these efforts on improving efficiency were being done, the team was already working on localized marketing initiatives that would elevate Quiksilver’s equity. In the surveys they conducted, it became evident that their consumers were no longer buying a single piece of boardshorts from Quiksilver. They were buying four to five shorts from other fast fashion brands with lower price points. Simon and the team decided not to directly compete with fast fashion items. Instead, 1) they focused their marketing direction on building Quiksilver as a technical action sports brand, 2) they minimized their buys on non-technical items that could easily be an alternative to fast fashion, 3) they invested in mid to high price points of technical products, and 4) they challenged the principal to create a range that would deliver the requirements of the local market. Simon was instrumental in the analysis and implementation of a lot of these initiatives. His patience, dedication, commitment and hard work are evident in the quick turnaround of the business. Today, Philippines is now being used as the reference model of other distributors in Southeast Asia. Senior Brand Manager | Sanofi-Aventis Philippines, Inc.
Mika has 9 years of experience handling brands from industries as diverse as fast-moving consumer goods, telecommunications, direct selling and over-the-counter medicines. She has spent the last 4 years of her career with Sanofi Consumer Healthcare, first handling Lactacyd and then Mucosolvan in 2018. In the last two years, she has turned around these two brands from a decline to double-digit growth. In 2018, she was tasked to handle Mucosolvan where she launched the brand’s first-ever consumer campaign that successfully transformed the business from a -10% decline in 2017 to +52% growth with +2.3 Market share points gained as of YTD November 2018. She made this campaign a success by ensuring that she 1) fulfilled an unmet consumer need that will differentiate them from the leading brands, 2) focused their resources on key activities that will drive growth, and 3) capitalized on the cough season. Their efforts gave birth to the “ONE CAPSULE, 24-HOUR ACTION” campaign for Mucosolvan 24HR Capsules. Mucosolvan was the first and only brand to offer the convenience of once-a-day dosage for cough treatment. They communicated this in their first-ever TV campaign and supported the launch with trade, digital, and also medical promotion activities. The success of the Mucosolvan launch has been recognized even by external industry experts. They won the New Product of the Year Award in the Nicholas Hall Asia-Pacific Conference held in Singapore last October 2018. While handling Lactacyd back in 2017, she was able to turnaround the business from three years of consecutive decline to +15% growth in 2017. Most notable among her projects is the launch of Lactacyd Odor Block, a feminine wash innovation that offers 24-hour odor protection, which was later on adapted by the entire Southeast Asia Region. To support this product launch, they conducted an integrated marketing campaign under the “24-hour nonstop” big idea. The intent was to show that women can achieve so much more with confidence when they have 24-hour odor protection. This creative idea was brought alive in TV, trade, social media ads, and online video ads. This launch was considered as one of Sanofi Consumer Healthcare’s biggest achievements in 2017, resulting to a +15% growth in 2017 after three years of consecutive decline. A few months shy of a full decade as a sales practitioner across all sales functions, Tet has been privileged with opportunities to create long-term impact in J&J, specifically on the Johnson’s and Watsons business in the Philippines. What she has achieved with her teams has been recognized by the customer, the local company, and the regional J&J organization – through various team and individual awards. She currently brings her holistic in-market trade & sales strategy development experience to the Customer Development Regional Office as Regional Shopper Manager for Johnson’s Baby. 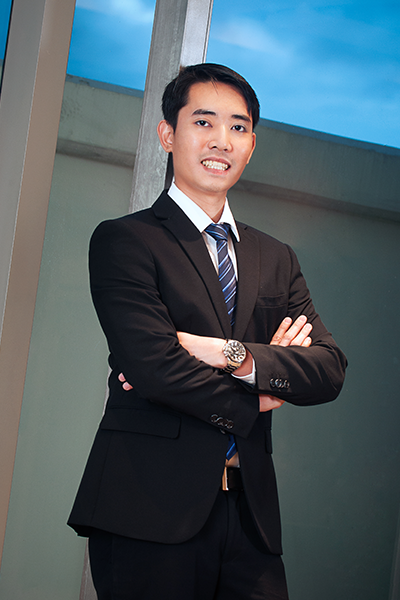 Tet graduated from the Management Trainee program of J&J after going through Distributor Management and Trade Marketing stints across the country. As Senior Category Manager for Johnson’s, she accelerated growth for Johnson’s Baby Bath by developing insights-driven strategy and plans to: 1) drive dual placement for Johnson’s Baby Bath in adult wash shelves across 600 stores nationwide, and 2) refocus the business to driving category opportunities by driving wash penetration. With close customer collaborations nationwide, they were able to drive internal growth and sustain Johnson’s Baby Bath consumer demand in a category declining by -3%. Her experience in managing distributors and local accounts, partnering with internal and customer cross-functional teams, delivering insight-driven strategies, and leveraging system enablers, primed her for her move as Senior Key Account Lead for Watsons. Skincare Portfolio Go-to-Market Re-design. On her first year, Tet reset the Neutrogena go-to-market model to reflect shopper insights and maximize the brand support model. This initiative resulted in: a) stable Neutrogena exit in 2014 despite operational shifts, b) strong Year-2 growth, delivering sustainable growth commitments without new lines, and c) efficiency gains through assortment optimization and SLOB & OS reduction across the Watsons store network. Skincare Strategy Refocus. With Beauty at the heart of the Watsons position in market, she bolstered the Skincare portfolio of Watsons to keep in stride with their growth aspiration through the first joint Skincare Brainstorm in 2016, attended by cross-functional teams from both sides and supported by the J&J Global Watsons team. The confidence and partnership from this strategy engagement led to double-digit Neutrogena growth, the J&J Watsons business becoming the fastest growing J&J market for Asia Pacific in 2016, and the launch of relevant regional NPDs to market. She has always believed that the strength of any strategy is proven most unquestionably if its accelerated growth impact is sustained long after she leaves the role. To date, Neutrogena has continued to deliver double-digit growth, with the Philippines becoming the third largest Watsons market for J&J Asia Pacific since 2016 – even after her move to a regional role in 2017. In her current role as Regional Shopper Manager, she continues to connect the dots from meaningful consumer and shopper insights, to insight-driven sales strategies, to actions and executions on-trade, with the hope of creating real impact in the lives of shoppers everywhere. Assistant Vice President and Head of Brand Marketing | Smart Communications, Inc. Selling the Internet in the Philippines is no easy task, yet that’s exactly what Joanne set out to do well. She managed to build the TNT brand from one known as the general mass market’s call and text service brand to a brand that the Filipino youth are proud to use to post their selfies and chat with their friends. She led this immense shift by championing the brand’s refined positioning strategy, anchored on its move to continuously evolve and serve its moral obligation to unlock the world that has gone digital. TNT pivoted from Talk ‘N Text to TNT, the digital brand that connects friends or tropas through affordable services, and became the funnest member of the barkada – that is indispensable and irreplaceable in their lives. The strategic approach required fine-tuning the way the brand communicates to the younger market, recalibrating the slew of products to include data services that can be enjoyed by the tropa, and even restructuring self-discovery channels and over-all customer engagement. Joanne led the launch of TNT Tropa Apps campaign in 2016. The affordable app-based offer, Tropa Apps, allows subscribers to enjoy access to the app of their choice for 3 days for Php10. She pushed the brand stronger by upgrading its product portfolio to include open access data SKUs that bridged the need for beyond limited app access through GaanSurf, Panalo Data, SuperCombo, and Panalo Combo offers. The way the brand engaged with its consumers through events and touchpoints has also been transformed from locale and fiesta situations to more youthful, fun-filled, tropa hangout-vibe events, while still latching on the benefits of using the internet and how it empowers them. The Search for DigiTropa Ambassadors, TNT Tropa Trip, and TNT Tropa Run are TNT’s experiential tentpole events that promote strengthened bonds among friends and spreading the use of internet for a good cause. The campaign on new brand image and consistent efforts on developing new data offerings generated exponential increase in TNT shares and image scores. SIM shares jumped from 29% to 35% after two years of projecting new image by Q2 2018. Its shares within the Mobile Internet Users category increased from 22% in Q2 2016 to 30% in Q2 2018. TNT subscribers likewise grew by 1.8 million at 28.8M from 27M in Q2 2016. Service revenues growth posted Year-on-Year (Q4 2017 vs. Q4 2016) at +5%, while data revenues grew by its all-time high at +220%. This re-branding campaign was recognized locally and internationally for Brand Campaign awards by award-giving bodies such as Global Telecom Awards (London), Asia Communication Awards (Singapore), Anvil Awards, and Quill Awards. As a committed and passionate marketer, Joanne has been pivotal in driving growth of TNT brand over the years. Her unique career combines years of strategic and analytical marketing expertise manifested in launching new products and progressive branding, penetrating and developing new market segments, attaining leadership in competition strongholds, optimizing reach to highly homogeneous markets and transforming legacy business to digital business. Empowering as a dynamic team lead and mentor, she constantly challenges team and cross-functional teams to strive for excellence and provide positive and fulfilling experiences. Chris has always been inspired by what technology can do to change and improve the lives of Filipinos. As CMO of Mynt, he rallied the transformation of Pinoys’ mobile phones to become their own “bank account” to make their lives better – with access to convenient and affordable payments, remittance, credit, investment, and more. He enabled this with his key contributions in customer growth, product experience enhancement, marketing strategy and promotions. 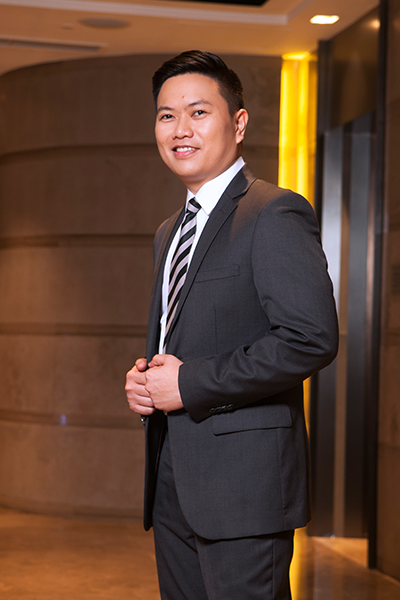 As the current CMO and VP/Head for Marketing and App Product of Mynt, he led the overall GCash App Lifecycle Management, including customer acquisition, retention, referral, and loyalty. Together with his team, he set up the growth framework that drives optimization of promo and marketing spend, and allocation of resources for app enhancements. With this, he directly managed the marketing and acquisition budget of the company driving 5x growth in user base, with 3x growth in monthly active users. They now serve more than 15 million Filipinos with a GCash account. He also led the end-to-end marketing strategy and execution across consumer and enterprise verticals where they ensure integration of campaigns for effective communication and efficient promotion across channels. He led the re-launch of the GCash app with QR payments feature under the #GCashMoNaYan integrated marketing campaign with the Chairman of Alibaba Group, Jack Ma, attending the launch event. This campaign resulted to 10x improvement in brand relevance via various brand lift study from Google and Facebook. He also handled the overall User Experience Design, from UI/UX enhancements, process transformation, including management of new app features – transforming the GCash app as an all-in-one lifestyle app for every payment needs of Filipinos. Key enhancements in GCash app include user onboarding, dashboard revamp, with ongoing monthly experience and interface optimization resulting to an average of 10% improvement in conversion rate. He also led consumer insight studies and usability testing influencing key decisions in marketing campaigns, customer promotions, and app enhancements. Because of their continuous efforts to enhance product experience, to optimize marketing and promotions strategy, and to establish the brand as the leader in the Mobile Payment space – his team was awarded as Top 1 Finance App in Google Playstore, was recognized as Asian Banker Best Mobile Payments App 2017 and was a winner of the Best Mobile Payment Service Award given by TelcomAsia Awards 2018. From his humble beginnings in Mynt as part of the founding employees of the company, he now leads a young team of 50 employees, with key home-grown talents being promoted within 1-2 years of stint in the group. His growth from a Business Manager function to now as CMO of the company shows his grit, commitment, and passion not only to excel in the field but also to make an impact on the lives of every Filipino. Creating delicious, feel-good moments easy for everyone is what McDonald’s as a brand promises to deliver to its customers; and this is what Ashley used as her guiding principle when she was given the opportunity to steer 3 of McDonald’s core products to unprecedented success. Ashley started her McDonald’s career with the daunting task of re-launching one of its key products, Chicken McDo. With an array of fried chicken options already proliferating the market, she developed a simple yet strategic launch objective – to make Chicken McDo a part of people’s consideration set – not as an immediate replacement. The Chicken McMcMcDo campaign, while making use of traditional media, differentiated itself with a witty mnemonic device targeting young adults to stir their curiosity and get them to try McDonald’s best-tasting chicken. And try they did, with sales immediately skyrocketing by +24%. Ashley then developed a 3-year growth plan, shifting Chicken McDo communications between value and taste, resulting to its outstanding +48% growth since 2014. In 2016, Ashley then shifted her focus in re-launching another core product, this time targeting teenagers. Burger McDo was a classic product that already had its own following. But with more low-priced options emerging in new eat-out channels, it had to rise above the clutter. While the message of its reformulation was of primary importance, Ashley led the team to develop a slew of creative content that would resonate with teens and placed them in platforms that were native to them. So, began the “Tuloy pa rin” campaigns, which told the stories of heartbreak and the empowering message of welcoming change on digital mediums. The 2 campaigns, while almost a year apart, consistently stirred intense reactions from teens, securing spots in the Youtube Ads Leaderboard, won the Gold Panata Award in Championing Responsible Brand Building, and were even awarded as Favorite Commercial of the Year and Best Inspirational Advertisement by a number of student-led award giving bodies. It was recognized by Ad Week as 2016’s 10th most viral ad around the world, setting the standard for hugot ads. Sales wise, results were all the more impressive as it reversed the downward sales trend of value burgers, growing it by a staggering +80%. More importantly, it successfully put McDonald’s burgers in the forefront of food choices for teens. In 2018, Ashley moved on to lead the Family Marketing business where she has been continuing McDonald’s vision of becoming a restaurant of choice for families, and having family-friendly menu options was the first step she took in realizing this ambition. Ashley’s latest product re-launch was the sweeter, meatier, and cheesier McSpaghetti that children will love and that moms will approve of. To date, McSpaghetti sales increased by +45%, again proving that with the right communication strategy, insightful creative materials, and presence in the right consumer touch points, classic products can once again be reinvigorated and relevant to the ever-changing consumer. 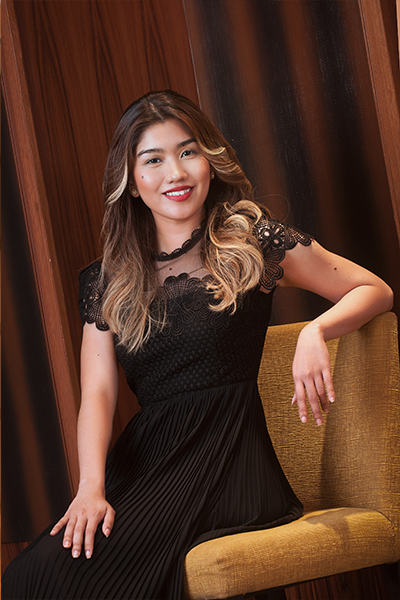 Embracing this simple yet strategic consumer-centric approach has allowed her to be part of the pair that won the Inquirer’s Young Marketers Competition, becoming the country’s delegate to the Young Lions Marketing Competition at the Cannes Festival. Inspired by the power marketing holds in driving businesses and shaping lives, Ashley has her eyes set in building stronger foundations that will bring delicious, feel-good moments to more Filipinos for years to come. Key Accounts Manager | Unilab, Inc.
Unilab underscores two values at the core of its products and services, “HUSAY at MALASAKIT,” translated to Excellence and Compassion. In line with this, winning in the distribution channels as a foundation of owning the consumer is one of the company’s strategic imperatives. JP, leading Unilab’s access project, co-developed supermarkets‘ role of being a one-stop access to all shoppers’ needs and make medicine a part of their regular shopping basket. During his stint in modern trade from 2014 to 2017, he managed the team to collaborate and partner with the biggest supermarket and convenience stores to put up 1,526 over-the-counter medicine sections in front of their stores for free. He also championed the development of 50 Supermarket Pharmacy branches in Puregold, Royal Duty Free, and Metro Gaisano. From over-the-counter section only, JP’s team expanded the project to a full-blown pharmacy inside the supermarket where shoppers can buy their branded and generic prescription medicine for diabetes, hypertension, and cholesterol while doing their regular grocery shopping. co-developed modules from site selection, category management, and operations management which became guidelines for the company and partnered retailers, and 3) collaborated with Zuellig, GSK and other pharmaceutical companies to complete assortment and provide additional support to grow the total Healthcare category. JP also planted the seed for the convergence of independent drugstores and convenience stores to create a platform where customers can order their medicines online and pick them up in their nearby 24-hour convenience stores. 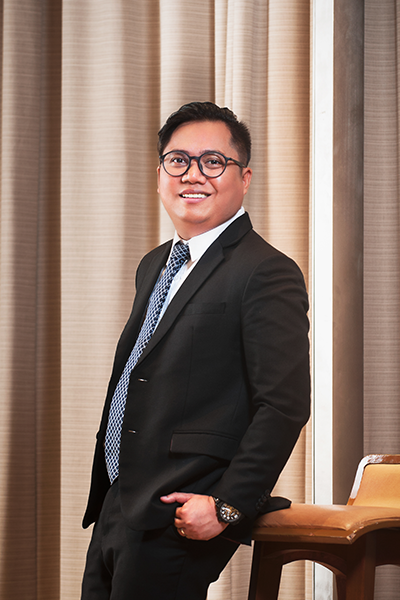 Currently, he assumed bigger responsibility in managing one of Unilab’s biggest key account customers and helping its Visayas and Mindanao regional key accounts team and customers to innovate and level up their retail and drugstore customer experience. The over-the-counter (OTC) market is traditionally a problem-solution category where strength of communication is determined only by the speed of action or strength of a product. 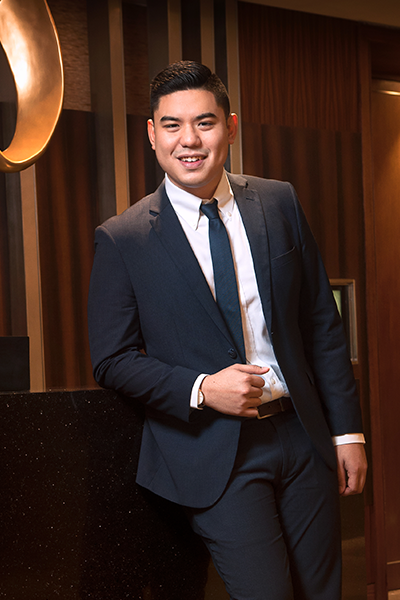 Crismer instead looked for innovative ways to be able to better connect to his consumers and make the brands more beloved by every Filipino. Tasked with growing legacy brand Sinutab Extra Strength after years of lackluster performance, Crismer turned around the business by improving the brand’s equity among Filipinos and stretching that equity toward a mainstream positioning to a broader colds segment base. Whereas the market is defined by the functionality of the product, Crismer moved Sinutab to build emotional affinity among Filipinos through the #MyExtraStrength campaign. Playing on the brand’s name, #MyExtraStrength is all about the Filipino Purposeful Striver who constantly face struggle but find their extra strength derived from their inner purpose. The brand shouted: “When you are fulfilling your purpose, you need that Extra Strength”. a characterization of the three miseries accompanying a cold: clogged nose + headache + runny nose which is easily understood and is clearly linked to functional equity of the brand. With the success of Sinutab, Crismer was tasked with the overall growth of the OTC Franchise. His first agenda was the expansion of J&J OTC products to make it more available, visible and irresistible to every Filipino consumer. With the vision that every Filipino should live a happier and healthier life, enabled by J&J OTC, Crismer led the development of the “Abot Kamay, Abot Tanaw” or to make every J&J OTC product visible and within hands reach of Filipinos. This was launched with the introduction of consumer packs or small pack configurations that allowed J&J OTC products to be put in the hands of consumers at a more affordable price. It was also a solution that helped drive increased distribution and placement in-store. Soon after, Crismer launched the “Pagaling Ka” campaign that leveraged on the J&J brand equity across the OTC portfolio. This extended the caring and loving J&J equity toward the OTC brands that were previously not associated with J&J. With these programs, OTC Franchise consistently delivered business commitments to J&J making it a two-time winner of J&J Brand of the Year, and Franchise of the Year. It also received numerous internal and external recognitions including two-time Grand Ripple Award, and J&J Asia Pacific James E. Burke Marketing Awards, to name a few. But more than the recognition, Crismer was able to lay the foundations of bringing J&J OTC products to Filipino consumers and help them live healthier, happier and more vibrant lives. This compassion and empathy to make a difference is what fueled Crismer in achieving the objectives of all these programs.